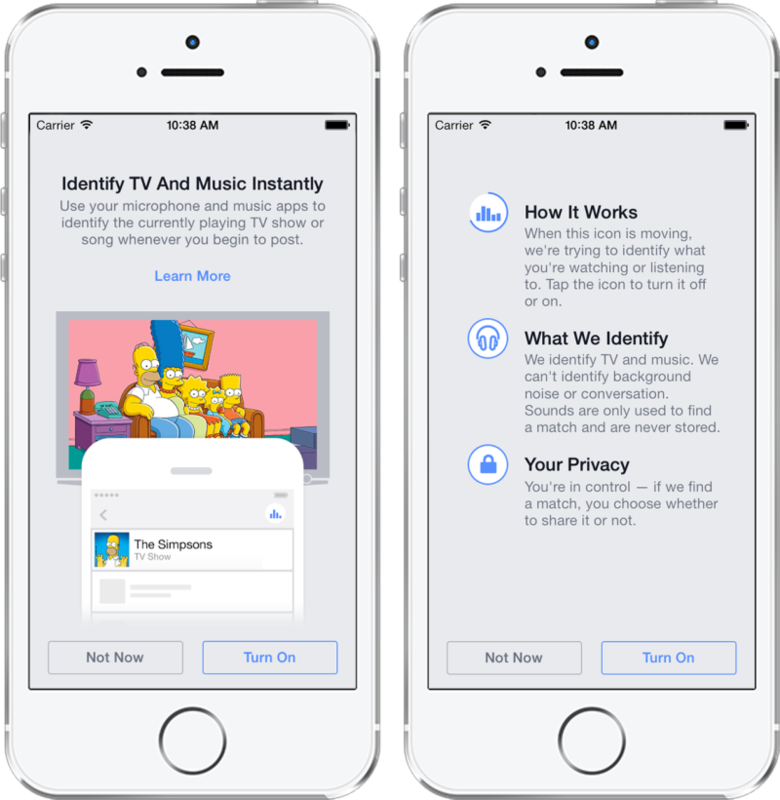 Facebook has announced a new feature coming to its mobile apps which identify TV shows and music playing in the background so that users can more easily share the song or show they are listening to or watching. Announced today in a blog post, the company said the feature will be available in the iOS and Android apps in “the coming weeks”. Essentially, the opt-in feature allows the app to listen for content using the microphone to identify music, movies or TV shows playing in the background using a Shazam-style matching system, and it’s active any time you’re writing a status update. If it finds a match, you then have the option to add the song, TV show or movie to your post – all without actually typing anything. Facebook says that no audio is actually stored, and you’ll always get to choose what you post to your friends. So there’s no fear of your embarrassing taste in music or TV being revealed, unless you want it to be.